The day after the Sudbury bribery trial involving two top Liberals kicked-off, Kathleen Wynne’s government announced Ontario’s new policy on how pot will be sold once it is legalized next July. They couldn’t be trying to distract us could they? The legislature returns next week, the same day a criminal trial involving two former Liberal staffers begins, but Wynne and her cabinet have had a busy few days trying to make sure we are looking anywhere but Sudbury. It started on Wednesday with the announcement of a curriculum review, one focused on math. Ontario has seen math scores on standardized tests drop for the past several years. Wynne even announced a big plan to fix things, without replacing the real problem, the curriculum, last year. But this week she said she would review the curriculum and look at changing report cards and how testing is done in the face of the latest tests which show just 50% of grade six students meet the provincial standard in math. Now Wynne would have known these test results were coming for some time. She could have announced the review last week when the results came out. She waited until the eve of the trial in order to distract us. 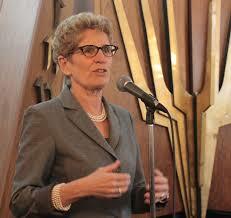 Then the day the trial starts Wynne’s education minister has another announcement, this one kind of explosive. Mitzie Hunter announced that the government will begin collecting and analyzing data on students based on factors such as race. Like the announcement the day before, this could have come anytime. Why on Thursday? Wynne and her colleagues want to distract you from Sudbury. It is incredibly well planned out. Start with an issue that all parents care about, and care about much more than bribery charges, move to an explosive issue like race data collection and then finish the week telling people how they can buy legal pot. It really makes you wonder what they will announce next Monday when the gas plant email trial starts or next Wednesday when Premier Wynne herself will take the stand in Sudbury. It can be tough to get Canadians to pay attention to corruption issues, so many assume that all politicians are corrupt. And let’s face it, if you think all politicians are corrupt, then what do you care about more, making sure your kids get a good education or a bunch of Liberals on trial. But this is a government that has been in power for 17 years, that has taken Ontario from have to have not status, that has driven up electricity prices beyond the point of affordability and now is facing a pair of trials for their conduct. We can’t be distracted from the fact that this government is not only incompetent but also corrupt. The defence lawyers for Gerry Lougheed, the Sudbury Liberal kingpin and Pat Sorbara, the former deputy chief of staff to Wynne, are trying to argue semantics to derail the bribery trial. They can’t deny that their clients offered to give Andrew Olivier a job or appointment if he would only step aside and endorse Glenn Thibeault because we have the recordings. So they are trying to say Olivier was not a candidate because he had not won the party nomination, therefore there was no bribery. But that isn’t how the Ontario Election Act is written. The act describes who is or can be a candidate but it doesn’t say you must be a party nominee. Sorbara and Lougheed knew Olivier was running and they offered him jobs to not run. So while Kathleen Wynne wants us to worry about math scores in school, which we should worry about. While Kathleen Wynne wants to take us back to the days of race based statistics. While Kathleen Wynne wants to distract us with government pot stores popping up in your neighbourhood, let’s keep our eye on the man behind the curtain. I hear from plenty of people that the kind of activity that led to these bribery charges is something that happens in all parties. I don’t doubt that, but most of that happens behind closed doors, there is no recording, no evidence. This time we have the evidence and the evidence cannot be ignored. The arrogance and contempt this corrupt government has for the people of Ontario is truly astounding.The worse part is with the backing of the public sector unions backing them they may just get reelected next year,now if that doesn’t give you nightmares nothing will.A great piece as usual Brian.